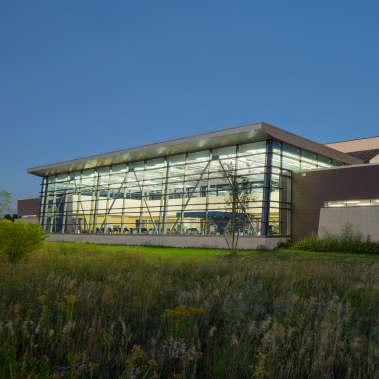 As Joliet Junior College continues to ensure that its facilities support student success and the needs of its community, the need for a new Multi-Purpose Facility at its main campus was identified. 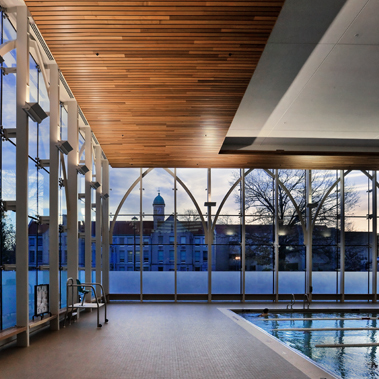 In addition to addressing current space deficiencies associated with the college’s Physical Education programs as well as with its Athletics programs, the new facility will also serve as an-campus venue. 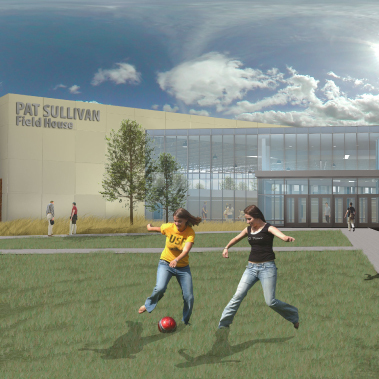 Major college events such as college fairs and career fairs along with ongoing community-focused sporting events and gatherings will also be held in the new facility. 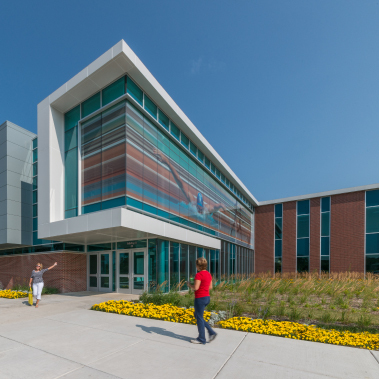 The new building is positioned at the west end of campus adjacent to the college’s student housing development and in an area that is easily visible and accessible by the community as well as students, faculty, and staff. 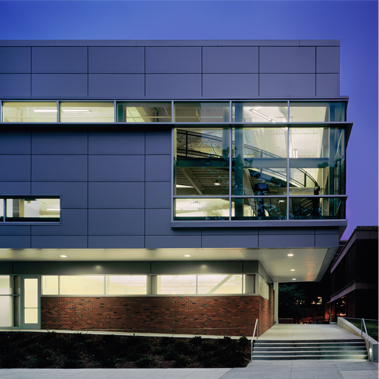 The building’s exterior consists of glazing, precast concrete, zinc, and stone in an effort to blend in with the context of the existing campus while at the same time, creating a unique appearance for this unique function on campus.